We are happy to announce that the Opto Engineering’s Board of Directors has appointed Luca Palleschi as General Manager of Opto Engineering USA, effective October 1, 2016. In his new position, he will be operating more widely and independently to support the continued sales growth of the group in North America. Luca will still rely on Cesare Castagnoli as the Company’s CFO and Controller, while retaining his role as local Sales Director. 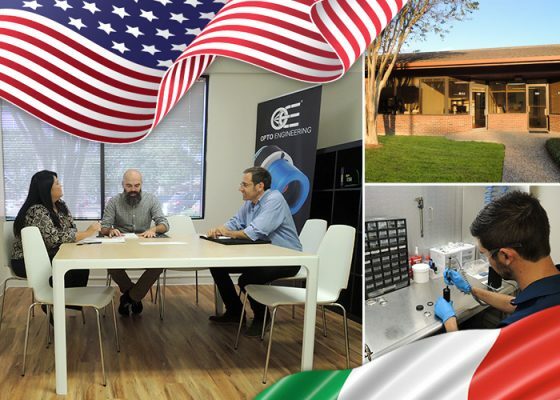 Meanwhile, Opto Engineering USA has relocated to the new headquarters in Houston, TX. The larger facility will allow us to further increase the selection of products available in stock and to better respond to our customers’ needs. Also, our new tech specialist Luca Bonato and the twice as large vision lab will be key assets to help you develop new applications quickly and efficiently. As usual, stay tuned for a wealth of new, exciting products to be released very soon… thanks for following us and we look forward to our continued success together!